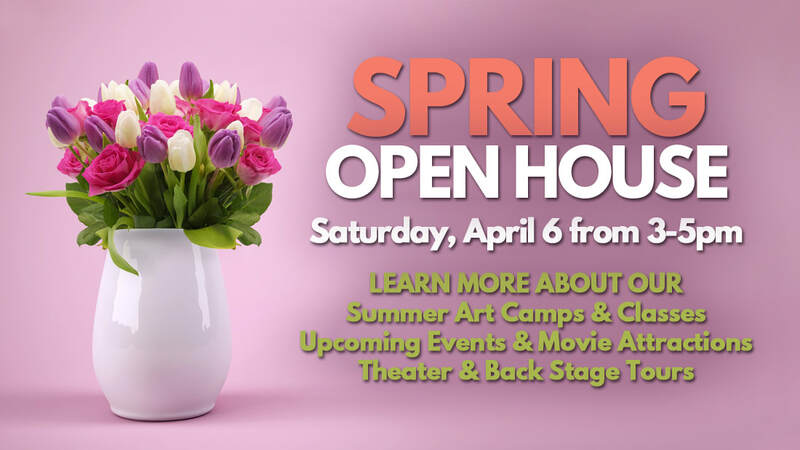 Join us Saturday, APRIL 6 from 3-5pm for our SPRING OPEN HOUSE as we share what's new with out upcoming classes, movies and events. Take a tour of our back stage theater and learn about our vision for its future! Meet Shirley DeLaet and learn more about her upcoming Exploring Watercolor class, April 12-May 17.
how to SAVE $10 on your camp registration! Meet Timothy Wells of Proscenia Film Society and learn about upcoming movies and other coming attractions. Learn about opportunities for volunteering and employment at the Mayflower.